St Etheldreda’s Church, Horley 11th, 12th September 2015. By now you should have received a flyer through your door to advertise a wonderful weekend of music making here in Horley! A very professional team of musicians led by violinist Lucy Gould and her sister, ‘cellist Kate Gould has been assembled to play in the great acoustic of our Church. To add to that line up they have invited Craig Ogden, who is one of the foremost classical guitarists here in the UK! The first concert on Friday 11th Sept at 7.30, will include music by Schubert & Mendelssohn and Craig will join the string players for the entertaining Guitar Quintet by Boccherini, and a piece entitled Tango Sensations by Argentine composer Astor Piazzolla. Next day Saturday 12th at 12:30 Craig will give a one hour lunchtime recital in which he will play pieces as diverse as Bach to George Harrison and Django Reinhardt. The final concert will be 7.30 pm on Saturday 12th September and will feature amongst others the marvellous String Quintet by Schubert, probably never played in his lifetime, and not published until 20 years after his early death. When you hear this work, which is one of our “Desert Island” selections, we hope you may marvel at its sheer beauty! To finish the weekend on Sunday 13th at 11.00 am we shall present a Choral Mass by Mozart. For further information and to order tickets email howelltessa@hotmail.co.uk; Tel:- 01295 738313. 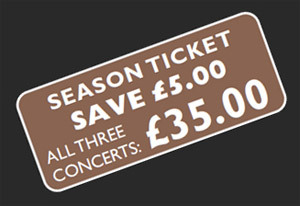 Post-concert suppers at £10 per head and Sandwich pub lunch at £5 per head can also be pre-booked. Michael Hardinge Trust have kindly agreed to pay for children from Horley. This entry was posted in Activities and tagged Banbury Guardian, Chris Howell, Church Services, Ironstone Chamber Music Festival 2015, Michael Hardinge Trust, Music, St. Etheldreda’s Church, Tessa Howell on August 25, 2015 by thehorleyviews.